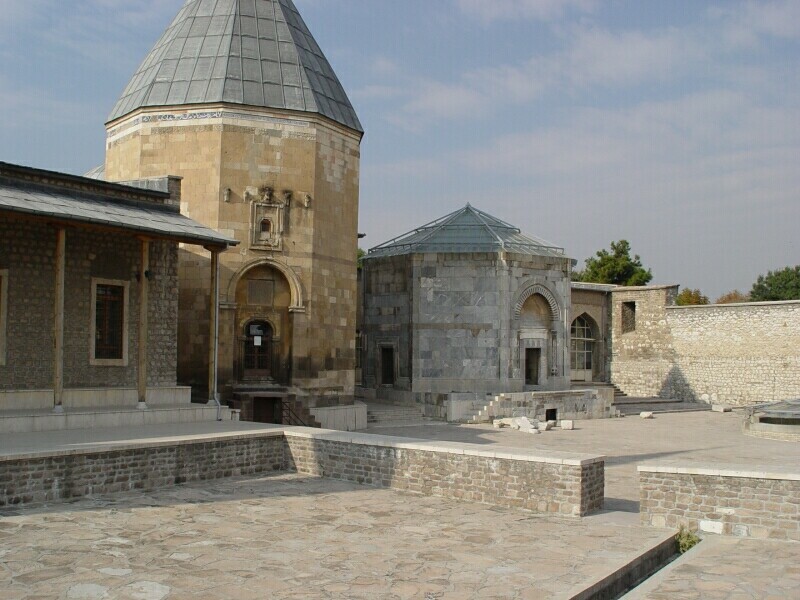 These are some buildings containing the graves (the buildings are called türbe) for sultans from the period. The tomb on the right has never been finished, and therefore it is much lower than the one on the left. The latter, built in 1170, is the ‘Kılıç Arslan Türbesi’ (= Tomb of sultan Kılıç Arslan II, who reigned from 1156 to 1192). Sources: ‘Agon Cultuur reisgidsen’ – M.Mehling, 1989 & Wikipedia.